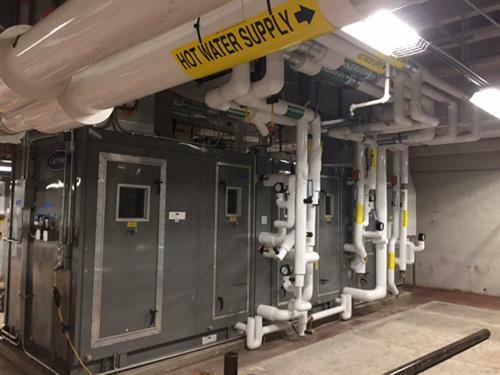 New England Mechanical Services (NEMSI) offers a full range of mechanical, electrical, plumbing, sheetmetal, building automation, and facilities services that satisfy a wide range of building construction and management requirements. With more than 50 years of experience and more than 400 employees, we have the people, expertise, and advanced capabilities needed to handle projects of virtually any size or complexity. We’ve designed our services for customer-first implementation. Our single-source in-house mechanical and electrical offerings include complete turn-key design-build projects, energy efficiency audits, advanced energy systems—design and installation, conceptual budgeting to final guaranteed cost proposals, sheet metal fabrication and installation, and expert engineering. All services are staffed by experienced professionals with a reputation for attentive and knowledgeable customer service. Our more than 300 continuously trained, licensed, and certified facilities services technicians, supported by New England’s largest service fleet, are available for preventive maintenance, as well as on-site staffing and 24/7/365 emergency response. We use state-of-the-art test, calibration, balancing and other tools to help you increase system reliability and productivity, while reducing repair costs. Over the course of your building’s entire lifecycle, our total package of mechanical and electrical services can meet your most demanding challenges and satisfy your most critical financial, energy, and management needs.